I Love Vintage! 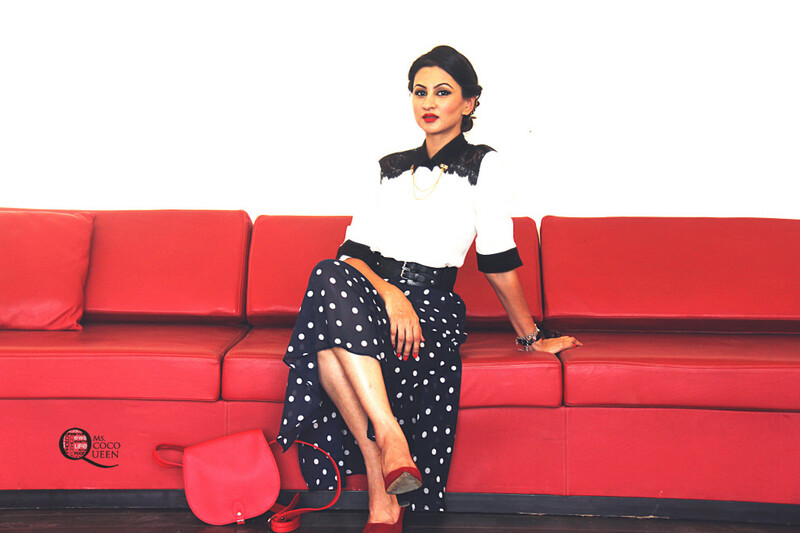 Vintage clothes, red lips, pin up hair do’s and the wholesome goodness of romanticism. Those high waist skirts, lace mittens, milky pearls, fun polka dots, prim curls, queenly hats, pretty tea ups & cutlery and PARIS! Whats not to love about vintage. Most importantly of all- if its vintage its never out of fashion! I have been wanting to do a summer vintage look for the longest time now BUT without getting my pockets hollowed by shopping some 1950’s original. Vintage shopping can be confusing and daunting. So what to do and where to shop if you are new to vintage!? 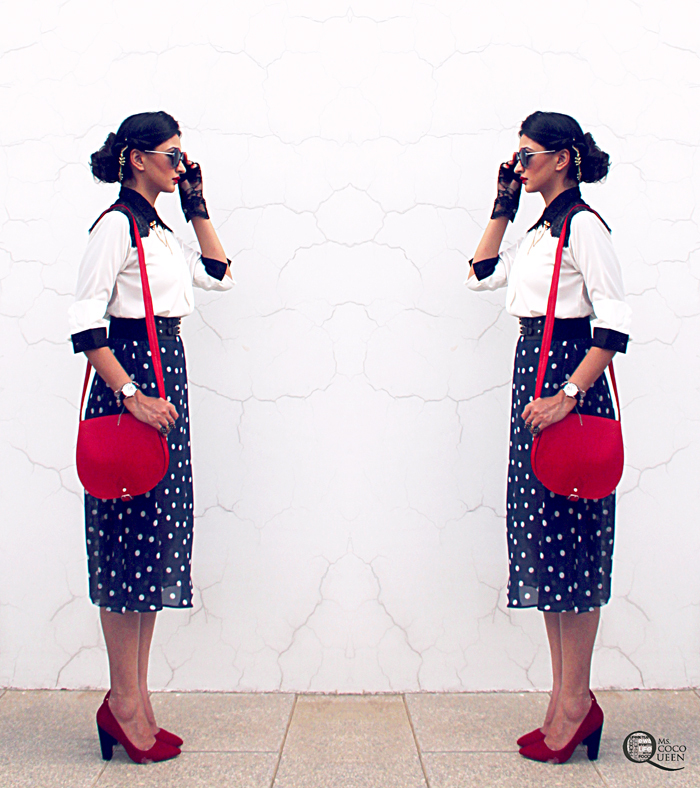 Today I will tell you how to get that flawless vintage look and where to shop the dream pieces. One: Concentrate on key pieces and trends from an era. 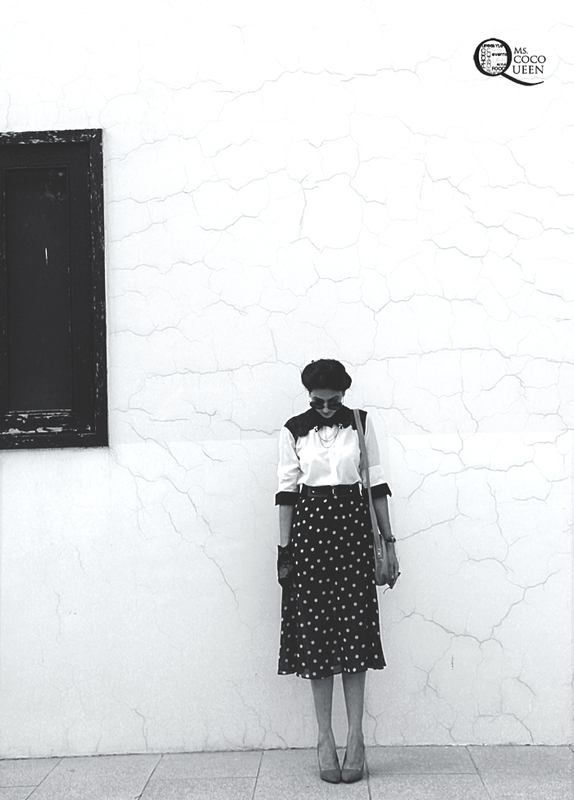 Trends like polka dots, lace embroidery, mid length dresses or key pieces like hats or gloves! 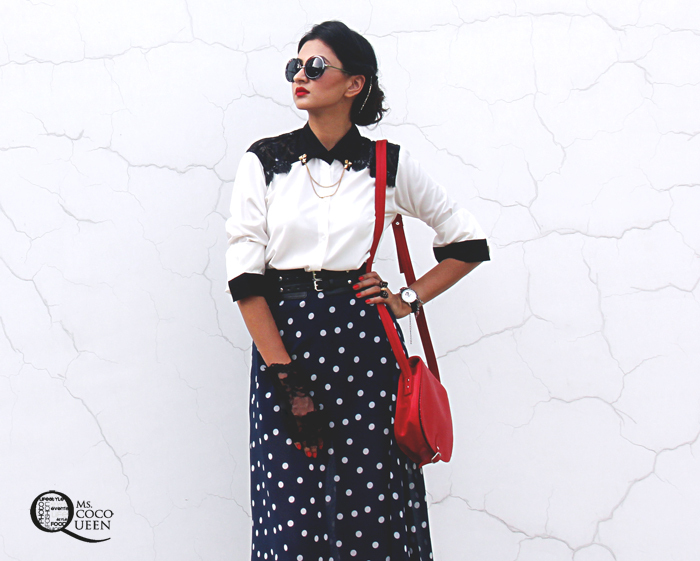 Polka dots are synonym to vintage fun and they are certainly on the trend pie this year. Lace on the other hand adds its fantasy! Hence I choose a high waist polka dot in mid length with a monochrome lace top from FabAlley for this look. Two: No Chunky! Hey Dainty. Chunky or ‘statement’ jewellery as many may call is not the right call actually. 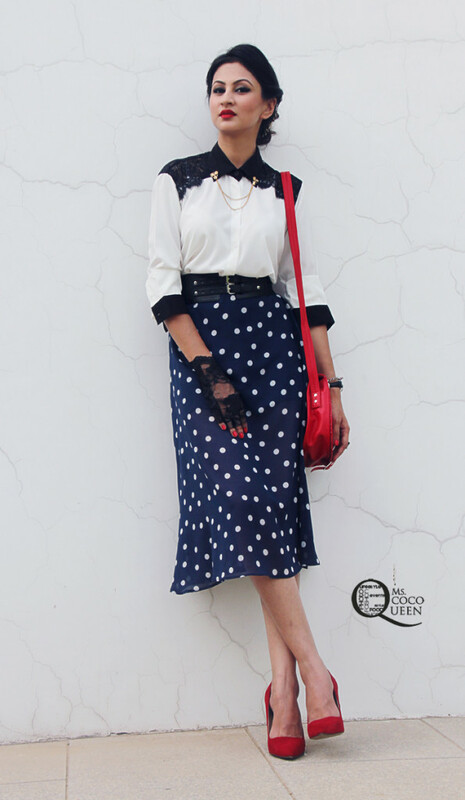 Pretty collar pins, lace gloves, leather watches, round sunnies add a sublime touch of style to the vintage look. Hence I chose a plain black belt, floral sunnies. 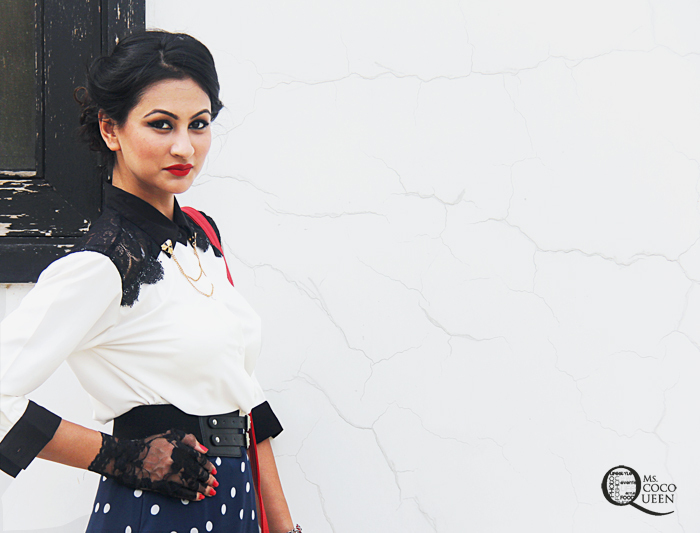 Messy or neat, vintage calls for a ladylike hair do. 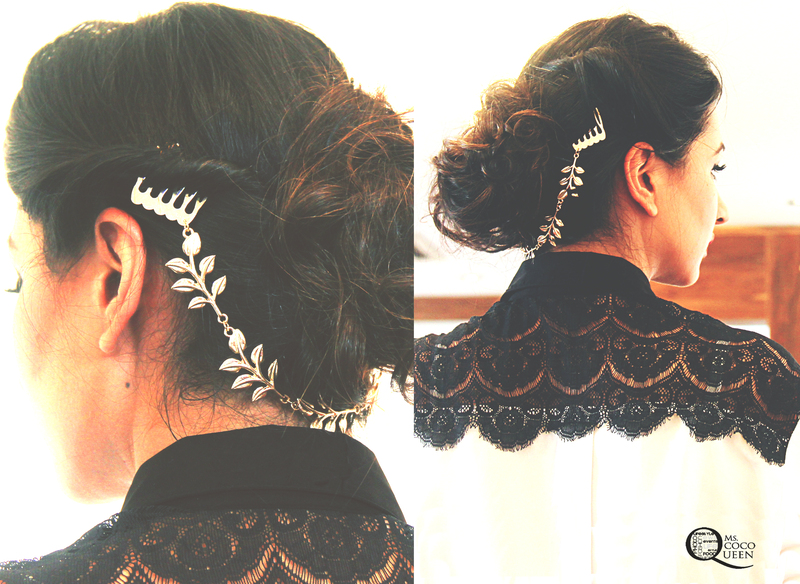 Curl up your tresses, play with few twistes here and there and pin to a up do. Keeping it simple is the key. 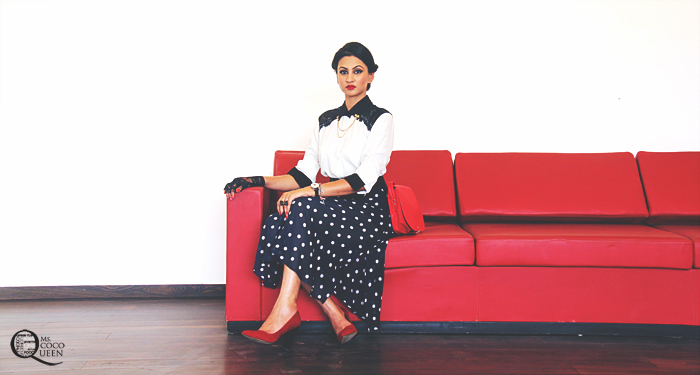 Red is the green signal for a quintessential vintage look. Red lips, red heals, red bags etc. I think one particularly needs a dash of red to stamp the look as vintage. So don’t shy out to try your mum’s wildest red lipstick. Hope you guys like the look. Do send me pictures if you try it out. Love the look, the red lip and the high waist skirt are perfection!! !